Celebrity Cruise is taking the concept of an epicurean adventurer to the next level with a 7-night culinary Caribbean cruise January 28 - February 4, 2017. 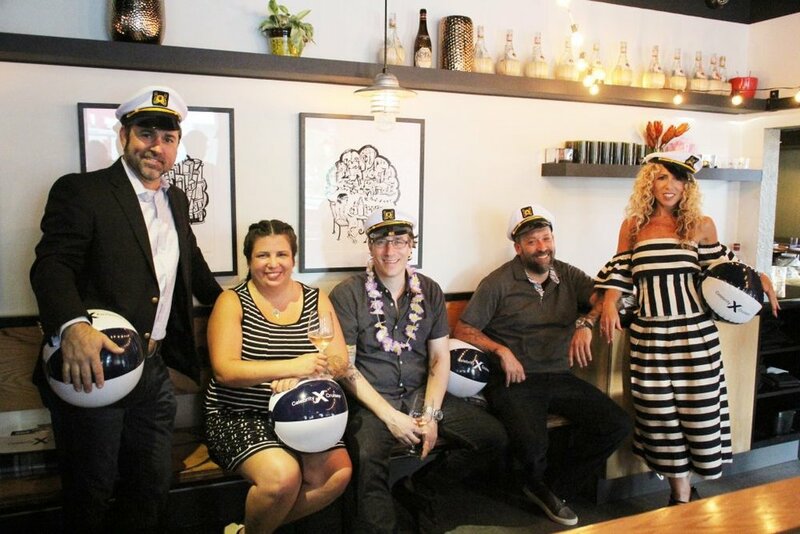 We were on hand for the announcement celebration at Kapnos to hear directly from our local food and drink celebs on why they are climbing on board. Leaving from Miami, the week long cruise will take you to Cozumel, Grand Cayman, Jamaica and Hispaniola. How much fun will this be? Chill out and eat and drink with DC's own Chef Mike Isabella, Chef David Guas, Chef Marjorie Meek-Bradley, Bartender Derek Brown and Nycci Nellis, DC’s favorite foodie resource for everything happening across the food, wine, spirits and restaurant scene. Marjorie Meek-Bradley from last season of Top Chef, Ripple, and Smoked & Stacked: "I'm most excited for the beach BBQ. We're grilling on the beach and using local ingredients--seafood from the gulf and local products. I'm excited about anything I can cook in another country with tropical ingredients. We do a lot of sausages at Roofer's Union, so I'm thinking about a tropical take on a half smoke that I can make. And the package is very reasonable for what you get--I could drink $2,000 in one night!" Derek Brown master mixologist, Columbia Room, The Passenger, Mockingbird Hill and more: "I adore and love Isaac Washington, the bartender from The Love Boat. He's one of my heroes, so this [cruise] is really my childhood dream come true. There are two reasons Isaac was my hero: he made amazing drinks, but then he really just talked to people. He was the psychologist on board. So I imagine I'll be doing of both--making drinks, hosting a demo, and then sitting back and talking to people." Learn more about the cruise at http://dcchefscruise.com or email PJacobs@celebrity.com.